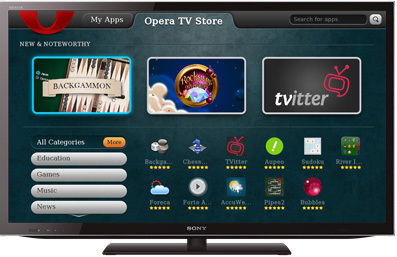 What is "Opera TV Store"? It is an online application delivery service from the Opera® browser. Bringing a collection of downloadable web apps that are optimized for the big screen, Opera TV Store offer consumers a way to enjoy online content and apps in an intuitive and user-friendly way. What is Opera TV Store? How to launch the Opera TV Store? Does "Install" mean the app on Opera TV Store is stored in the player?